Perfect. Pretty. Political. For nearly forty years, The Hellinger sisters of Hastings-on-Hudson-namely, Imperia (Perri), Olympia (Pia), and Augusta (Gus)--have played the roles set down by their loving but domineering mother Carol. Perri, a mother of three, rules her four-bedroom palace in Westchester with a velvet fist, managing to fold even fitted sheets into immaculate rectangles. Pia, a gorgeous and fashionable Chelsea art gallery worker, still turns heads after becoming a single mother via sperm donation. And Gus, a fiercely independent lawyer and activist, doesn't let her break-up from her girlfriend stop her from attending New Year's Day protests on her way to family brunch. 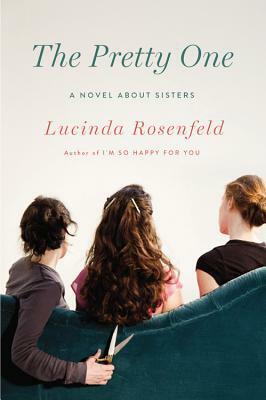 With The Pretty One, author Lucinda Rosenfeld does for siblings what she did for female friendship in I'm So Happy for You, turning her wickedly funny and sharply observant eye on the pleasures and punishments of lifelong sisterhood. Publishing February 5, 2013 by Little, Brown and Company. "I was circumambulating the crater's lip, seeking a clearer trail back to Ocean Bay, when a startling hoo-roosh! sent me diving to the ground--the mind abhors a vacancy & is wont to people it with phantoms, thus I glimpsed first a tusked hog charging, then a Maori warrior, spear held aloft, his face inscribed with the ancestral hatred of his race. 'Twas but a mollyhawk, wings "flupping" the air like a windjammer." "Beyond the Indian hamlet, upon a forlorn strand, I happened on a trail of recent footprints." Ooh, that's an intriguing start! Whose footprints? And where do they go? It's hard to review a book that you've been told by dozens of people is amazing, brilliant and revolutionary, when you didn't like it. But here goes. I found Cloud Atlas pretentious and gimmicky and boring. I read it for book club, which is the only reason I read it at all (and why I didn't give up on it.) If you don't know about the convoluted structure, the book tells six very loosely related stories that go forward in time (first one is in the 1800s, second one is in the 1930s, then the 1970s, and so on. The last two are set in the future.) But it only tells the first half of each story, until you get to the last one, and then you get the full story on that one, and then the second half of all the other five stories in reverse order. Only two of the stories did I like at all, the story of Luisa and of Sonmi (interestingly, those are also the only two stories with female protagonists.) The other stories I found pretty boring, especially the first two. I had hoped that upon reading the ends of the stories, they would be redeemed, but that didn't happen. In fact, once you get the setup of each story, for the most part you can guess what's going to happen in the second half. Supposedly Mitchell is discussing Great Themes, but the only one that stood out to me is that Slavery is Bad (really? I had no idea?) Also, apparently, civilization is doomed because we like shopping too much. Oh, and Soylent Green is people. 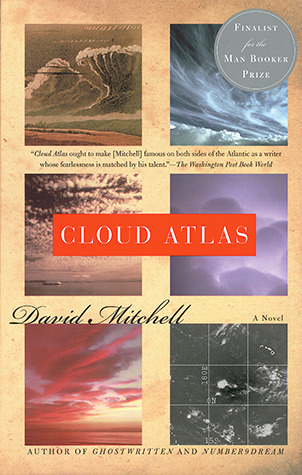 I will give Mitchell props for writing in very distinctive styles, from a 1800s ocean-going journal to a 1970s pulp-mystery to making up a futuristic island patois (that is very hard to understand). He was successful in those endeavors, with making the different eras feel authentic solely through the writing style, and his exercise also in varying the narrative form (journal, letters, interview, as well as traditional straightforward narratives) was successful. But to me it still felt very much like a narrative exercise. I don't think those varying conventions added much to the stories, aside from making it easy to not get the different stories mixed up (although they were so very different that shouldn't have been a problem even if they were all written in a straightforward fashion without the additional era-defining characteristics.) I felt no passion in the book. I rooted for almost none of the protagonists. In fact, a couple I actively disliked (Timothy and Robert.) In the end, I felt like Mr. Mitchell really wanted everyone to say "Ooh, how clever," but I'm sorry, I need more than that. A novel isn't just a way for an author to show off his techniques. It also has to tell a story that readers care about and that failed miserably here. Next time you want to show off and see just how you can push things and if you can carry it off, feel free, but keep it to yourself. Next time you have a great story to tell, that I'd like to read. Some fun facts: Garfield's only case as a lawyer was in front of the Supreme Court and he won. Charles Guiteau, his future assassin, once threatened to beat up a juror in the courtroom. Guiteau's legal career was wildly unsuccessful. Also it is bizarre to think about someone being nominated for president who actively did not seek it - in fact Garfield himself had nominated someone else. What an incredible burden and responsibility that is, and to not to have felt like you even had any say in taking it on, must have been very frustrating, and he is all the more admirable for taking on that challenge that he did not want. His election in 1880 had the highest voter turnout ever. Garfield grew up very poor, his father having died when he was just two, but his mother and older brother were adamant that he go to school and to college. So a man who didn't own shoes until he was four years old, graduated from Williams College with honors. He was a college president by age 26. 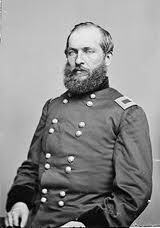 He went on to be a successful general in the Civil War, winning the decisive battle to keep Kentucky in the Union with only a small company. He was elected to Congress but didn't show up for a year until Lincoln appealed to him directly as the Republicans needed his vote. He had thought he was more effective and helpful in the field of battle. Man, he sounds like such excellent President material. Kind of makes you hate Guiteau all the more. 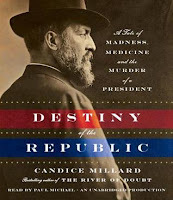 (Plus, his VP, Chester Arthur, was a nightmare) Guiteau couldn't have killed one of the useless, blah presidents. No, he had to murder a promising, upstanding, honorable one. The Federal Government at this time was mostly run based on something called the spoils system, wherein government jobs were handed out by powerful politicians to their friends, regardless of skills, ability, or willingness to do the job. In fact, that's how Chester Arthur became VP - because he was best buds with Senator Conkling from New York, who was the most powerful man in the government at that time. A big reason Hayes didn't run for reelection was because he was trying to get rid of the spoils system and was battling Conkling, and after that figured there was no way to win a second term. Luckily our man Garfield didn't like it either and getting rid of it was a key part of his platform (as much as there were platforms back then. It was viewed as "unseemly" to actually run for office.) Unluckily, the bonkers Guiteau somehow got it in his head that he ought to be Ambassador to Austria - wait, no, France. And he went to the White House every day for a few months to see about that. Back then, the White House was considered to be The People's House and citizens could come and go as they pleased, basically having the run of things. Garfield's secretary ran interference, but that was frowned upon, as Presidents were obliged to listen to their constituents. But Guiteau was so obviously off his rocker that he was generally kept away (although not after spending several days also harassing the Secretary of State, and also writing a couple of letters to Arthur, which he thought meant they were best friends.) See, once Guiteau had given a very short speech, one of many, in Garfield's favor and therefore he felt he had gotten Garfield elected and deserved, in fact was entitled to, this fancy job. And as weeks and months went by and he didn't get it, he became increasingly agitated. Guiteau at this point had had dozens of jobs and had failed at all of them. After getting kicked out of the Oneida commune (impressive feat), he had been an itinerant minister who felt he didn't have to pay to ride the train or for the boarding houses where he stayed. (Once he was arrested for skipping out on his hotel bill and was astonished that he could be arrested for that, as if he had stolen something. You did steal something, nitwit!) He had "written" a book that was mostly plagiarized, and tried to sue Oneida for not paying him for work he did (forgetting he'd signed a contract stipulating that when he joined). His family were all utterly humiliated and disowned him except for one sister who took him in. One day he actually was being uncharacteristically helpful and chopped up some wood for the fire. But he characteristically refused to stack it int he woodpile, instead leaving it lying all over the yard and path. His sister went out to stack it for him, and he raised the axe to her, like he was going to chop her, and then lost his last free place to stay. (Although her husband, a lawyer, did defend him at his trial. But how helpful a patent attorney was at a murder trial is hard to say.) So at this point he was poor, crazy, angry, unemployed, and friendless. His family did try to get him committed, but he ran off and escaped before the jury that would formally commit him would meet. So he ended up on a train platform with a gun, looking for Garfield. He said he thought God had told him to murder Garfield, and he thought General Sherman would rush to town and save him, and his friend Chester Arthur would be so grateful, he'd finally get his ambassadorship. Needless to say, that's not what happened. You may have heard that Garfield's wound wasn't fatal at all, but instead it was all the doctors sticking their dirty fingers in the wound that caused the infection that killed him, and you'd be right. Lister had already invented antisepsis techniques which were being publicized and were well-known, but unfortunately they weren't widely accepted yet, and doctors often thought that washing your scalpel was enough - you didn't need to also wash your hands, or if the sterilized scalpel fell on the floor, that was okay - you can just pick it up and go on. In fact, if you needed both hands, you could just hold the knife between your teeth for a while. So even the ones who thought they were being sterile usually weren't. But Garfield wasn't even that lucky as the pompous doctor who took over his case thought Lister was a kook and his ideas about invisible germs would be discredited. Alexander Graham Bell enters the book at this point. He was worried about the president's condition and came up with an idea that he hoped could help. What if he could invent a gizmo that would pinpoint where the bullet was in Garfield? Then his doctors could better know if it had likely nicked the kidney or gall bladder or what other organs were between it and the entrance wound. Using technology developed when inventing the telephone, he invented the first metal detector. Unfortunately, Garfield's egotistical doctor was such a control freak he would only let Bell search for the bullet on the side where the doctor was already certain it was (it wasn't) so that was a bust. After lingering for three months, with increasing discomfort from multiple infections, Garfield finally died. In his death, he accomplished two things. First was the thing he had really wanted to accomplish in his presidency: getting rid of the Spoils System. It was seen as having directly contributed to his death (without it, Guiteau wouldn't have felt entitled to a job) and so it was gone. The other thing, which no one could have foreseen and was so important it was almost worth losing a president over, was healing the country. It was a scant 15 years after the Civil War, the country was still very much divided, and yet when Garfield was shot, everyone came together in worry and anxiety about his fate. When he died, the whole country mourned as one. Guiteau was found guilty and hanged. Random fact: Robert Lincoln was at the train station when Garfield was shot. He was also later with McKinley when he was shot too, having the dubious distinction of being the only person present for the assassinations of three presidents. He later would turn down presidential invites, deeming them too risky for the health of the president. Another random fact: this still didn't convince people that the president needed any kind of security protection. Now the assassination of Lincoln was considered an act of war and therefore an aberration, particularly for a country not at war. But you'd think after Garfield that the security detail would be upped. Nope. Not until after McKinley's murder. I listened to this on audio and loved the narrator, Paul Michael. His deep, sonorous voice was perfect for a presidential bio: very authoritative and respectful. His female voices mostly sounded the same, but there weren't many so that wasn't important. His accents were great (Alexander Graham Bell was Scottish and he did Queen Victoria briefly too.) Candice Millard really knows how to write a good yarn and make history come alive. There were even moments when I caught myself thinking, "maybe Garfield will pull through!" even knowing full well that couldn't be the outcome, but she was that good at creating suspense and hope. Wonderful book, anyone with even a remote interest in American history should enjoy it thoroughly. I listened to the audio book which I bought from Audible. An unforgettable novel about a mysterious mail-order bride in the wake of WWII, whose sudden decision ripples through time to deeply impact the daughter she never knew. 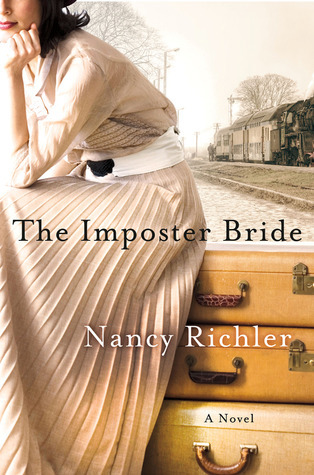 The Imposter Bride blends gorgeous storytelling and generation-spanning intrigue in the story of Lily Azerov. A young, enigmatic woman, Lily arrives in post-WWII Montreal on her own, expecting to be married to Sol Kramer. But, upon seeing her at the train station, Sol turns her down. Out of pity, his brother Nathan decides to marry her instead, and pity turns into a deep—and doomed—love. But it is immediately clear that Lily is not who she claims to be. Her attempt to live out her life as Lily Azerov shatters when she disappears, leaving a new husband and a baby daughter with only a diary, a large uncut diamond—and a need to find the truth. Publishing January 29, 2013 by St. Martin's Press. "As I write this, it is difficult to image that unreal time, 1983, in the history of AIDS. Not only did we not know what caused AIDS, there was no test to say who did and who did not have the mysterious disease." Ugh! We are so lucky not to be living in that terrible time of uncertainty anymore. however I imagine most doctors in the 1980s thought we'd surely have a cure or at least a vaccine for AIDS by 2013. I am reading Mr. Verghese's books in reverse order. Which is why I do know what will happen to his marriage after the book is over, although he does not. But it didn't hurt my reading of the book at all. Luckily, each of his books are on pretty discrete topics, even if both My Own Country and The Tennis Partner are also traditional memoirs. In My Own Country, Dr. Verghese is a brand-new doctor in the mid-90s, who has specialized in infectious diseases, partly because AIDS looks like it will make ID a very interesting specialty. But then Abraham and his family, in search of a home that truly feels like home, settle in East Tennessee, a place where it seems like AIDS will never touch. Johnson City is a small city in the foothills of the Smoky Mountains where families have lived for generations and there don't even seem to be any gays, although Abraham knows that can't be true. He works partly at the VA, partly at the local hospital, and partly in a private practice. And while he and his wife are settling in, and trying to find their place in the newly burgeoning international community, to his surprise, an AIDS case does show up at the hospital. And then another. And another. While Abraham was correct in his initial assumption that AIDS was unlikely to be spreading in Johnson City, what he hadn't anticipated was men in New York and San Francisco would want to return home when they became sick, and that is where the majority of his patients came from. A motley, humorous, and eclectic group, his patients touch his heart, reinforce his calling, and put a strain on all his other relationships. Not only are his wife and parents worried about him, working with AIDS patients, but even other doctors and nurses are prejudiced, ignorant, and occasionally just cruel. But Abraham labors on, determined to do as much good he can, without any drugs that can do more than treat a few of the symptoms. As he goes on, AZT does come on the market and is initially a miracle drug, but eventually most all of his patients do succumb. While this is primarily a memoir about medicine, it is also a memoir of home. Abraham (and his wife) is trying very much to find his place in the world. He has always felt out of a place, from the very beginning as an Indian born and raised in Africa, and throughout stays in New York and Boston, he has still felt on the fringes of society. There is a surprisingly large number of Indians in Johnson City who they do socialize with, but he seems to feel most at home when he's at work with his patients. In a way, that is his country. His country isn't Ethiopia or India or the United States, it is medicine. Smoothly written without much medical jargon, Dr. Verghese deftly conveys his feelings of displacement and belonging, he writes about his patients with respect and fondness, and I really felt like I could have walked into his office and instantly recognized everyone there. A perfect companion book to And The Band Played On, but not a book only about AIDS. It is about life and death and love and loss and the human condition, in every permutation. ugh, Cloud Atlas is proving to be quite a slog (and long!) so nothing was finished last week, but I must finish by Thursday for book club. "Summer, 1985. A young man is driving down from New York to visit his parents in Johnson City, Tennessee." After a full-throttle brain bleed at the age of twenty-five, Ashok Rajamani, a first-generation Indian American, had to relearn everything: how to eat, how to walk and to speak, even things as basic as his sexual orientation. 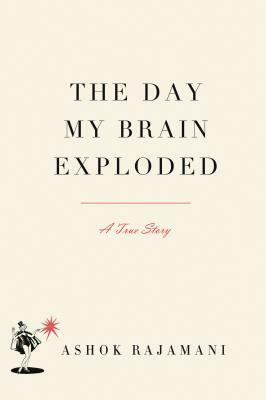 with humor and insight, he describes the events of that day (his brain exploded just before his brother’s wedding! ), as well as the long, difficult recovery period. In the process, he introduces readers to his family—his principal support group, as well as a constant source of frustration and amazement. irreverent, coruscating, angry, at times shocking, but always revelatory, his memoir takes the reader into unfamiliar territory, much like the experience Alice had when she fell down the rabbit hole. That he lived to tell the story is miraculous; that he tells it with such aplomb is simply remarkable. More than a decade later he has finally reestablished a productive artistic life for himself, still dealing with the effects of his injury—life-long half-blindness and epilepsy—but forging ahead as a survivor dedicated to helping others who have suffered a similar catastrophe. 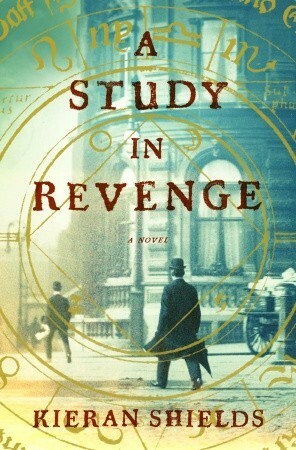 January 22, 2013 by Algonquin Books of Chapel Hill. "He brought a lantern, and thought as he led the mule up the hill: What if they were unfamiliar with lanterns and burned down the cabin in the middle of the night? He thought he should try to explain the mechanics of the lantern but could not imagine such a conversation." 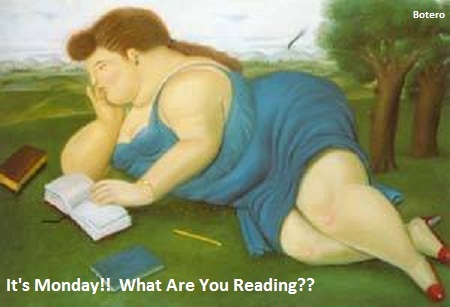 It was hard to find a good teaser this week because the sentences in the book are all so short! While they do give you an idea of the tone of the book because that is a part of it, it doesn't give you much. I found this longer one on the pages I opened to and while not much is going on, the man seems to be somewhat worried about these girls, but not enough to overcome his aversion to talking to them. I am confused about their relationship but also intrigued. "His face was as pitted as the moon." I know exactly what she means by that. It's not a common description, and yet very apt. One reason I'm in a book club is to be forced to read books I otherwise wouldn't. 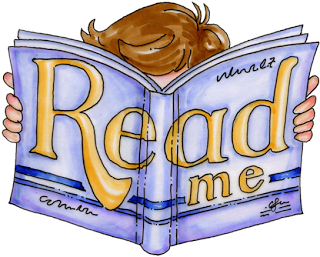 It helps expand my reading horizons, exposes me to new books and genres I am unfamiliar with, and then I also like hearing other people's perspectives and the camaraderie. This month I thought the camaraderie would be the only saving grace as I most definitely wasn't looking forward to the book. It's pretty long (425 pages) and Western and about an old guy with an orchard who takes in a couple of pregnant young girls. 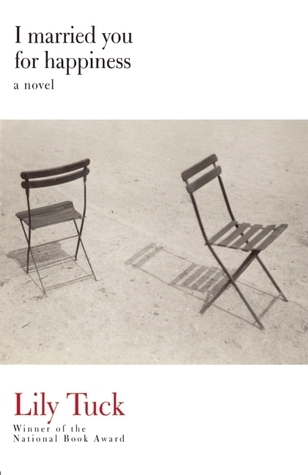 I thought it would be a retread of the excellent Plainsong by Kent Haruf, and in some ways it was, but set 100 years ago, and crossed with Room by Emma Donoghue. Oh, and it was much better than I expected. Talmadge lives in Washington state around the turn of the last century, tending to his orchard. His mother and sister have long since died and he is all alone, aside from his friend Caroline, the midwife from the nearby town, and Clee, the mute Native American leader of a band of men who come through the orchard a couple of times a year with their horses on the way to auction. One day two young pregnant girls, Jane and Della, follow him home. Obviously homeless, seemingly almost feral, Talmadge feeds them, and eventually they become a mismatched and somewhat reluctant almost-family. Terrified of the man from whom they escaped, the girls are very hesitant to trust, and Talmadge who has lived alone for the majority of his life, isn't crazy about letting them in, but eventually they come to rely on each other. Then things go awry. There are a few big plot twists that I don't want to give away, even ones that happen fairly early in the book, as it would be too much of a spoiler, although it does make it somewhat difficult to discuss the book. The book is atmospheric, which much description of the place and the orchard and the things one must do to apple and apricot trees to maintain and harvest them. The loneliness is palpable, as is the girls' desperation. That said, while I did enjoy it, it was too long. There was a spot in particular towards the end when we had a lot of pages of filler that only served the purpose of dragging out the reader's anticipation of a reveal, which I didn't like. And I found the descriptions, while lovely, a bit longwinded. Some of the plot twists seemed melodramatic and to me had a hint of college writing class to them. The girls vacillated between seeming to be unable to understand or speak to Talmadge, to seeming quite intelligent, which baffled me pretty much the whole way through. Their characters never felt solidified and instead changed depending on the author's whims, which made it very difficult for a reader to get a grasp of them, and to have any idea what they might do. Why was Clee mute? That didn't seem to serve a purpose. And a few plot threads were dropped along the way. Finally, I have read three books in the last two months that don't use quotation marks and I am sick of it. It feels affected, pretentious, and it's confusing. Stop it. Despite these complaints, I did enjoy it, although I certainly didn't love it. But it led to a very interesting discussion at book club, as I had thought it would. household in Belgrave Square; and Grace, the lady’s maid who orders the life of her mistress. Lord Robert can see no financial relief to an already mortgaged estate, and, though the Season is over, his thoughts turn to securing a suitable wife (and dowry) for his son. The arrival on the London scene of Minnie, a beautiful Chicago heiress with a reputation to mend, seems the answer to all their prayers. As the writer of the pilot episode of the original Upstairs, Downstairs—Fay Weldon brings a deserved reputation for magnificent storytelling. 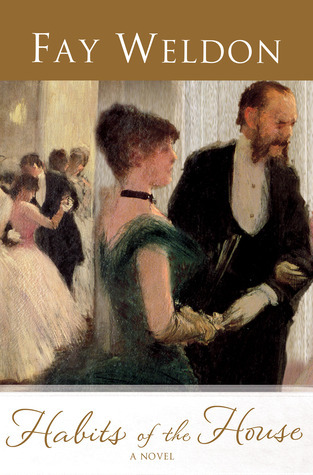 With wit and sympathy—and no small measure of mischief—Habits of the House plots the interplay of restraint and desire, manners and morals, reason and instinct. Publishing January 15th 2013 by St. Martin's Press. I am already in one book club, and while I love it, I've always thought one was plenty. But then my chapter of the Women's National Book Association said they wanted to start a book club, which is focused on the Great Group Reads selections, and I was hooked. I thought that if I took notes at the meeting and wrote it all up, then people who don't belong to a book club could see what it is like. I've found that non-members are reluctant to join because of the unknown, so here's a little more knowledge! If you're interested in book clubs but not sure if it's for you, if you are curious what aspects of books are discussed, or just interested in what a different book club might be like than your own, my write up is here, on our website. The first discussion was about I Married You For Happiness by Lily Tuck. 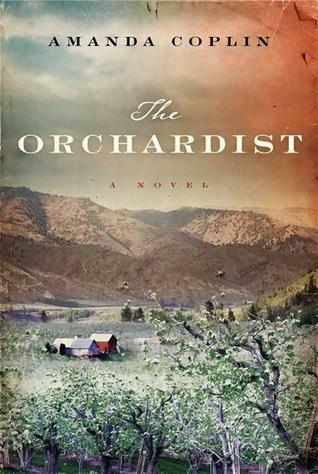 The next one is tonight and it's on The Orchardist by Amanda Copeland. Hopefully this time it won't take me a month to write it up, but I make no promises! "That people resemble their dogs is an enduring piece of folk psychology--that's psychology-speak for conventional wisdom. You know the stereotypes--burly bikers with jailhouse tattoos go for pit bulls; leggy fashion models stroll down Park Avenue with pairs of lanky Afghans." Once when I lived in New York I really did see a woman walking a dog who had been dyed to match her own hair, which was a shocking shade of fuchsia. Only in New York. My boyfriend and I adopted an adorable abandoned black kitten on Thanksgiving that he found in a shrub (we named him Turkey. Isn't he cute?) Why would we be willing to bring home a strange animal and spend lots of money on him (shots, food, litter, toys, boarding him over Christmas, and in 4 months getting him neutered) because he's cute, but we wouldn't be if, say, it had been a rat that came out of the shrubbery squeaking? Why don't we have qualms about scientific experimentation on mice and rats but freak out if it's rabbits and cats? (In fact, the legislation that regulates how scientists treat animals specifically excludes mice and rats as not animals!) If I am unwilling to eat my cat, why am I okay with eating chickens and pigs? I am opposed to cosmetic companies testing on animals but not scientists - if it will cure a bad disease. Why all the inconsistencies? This book looks at humans' relationship with animals of all sorts and tries to make some sense of it from a psychological perspective. Did you know that elephants mourn their dead and dolphins are so smart they will correct your grammar if you try to communicate with them? I did come away from this book feeling better about cockfights and worse about bird hunters (seriously.) And I wish there was a better way to farm chickens that wasn't so awful. I already have reduced my meat consumption years ago, thanks to Michael Pollan, as it's terrible for the environment, mostly cutting out beef, but now I find out that chicken is bad too in its own way, and of course there are no right answers. But this book helps us all understand those issues better and make more educated decisions. In 2012 I finished all of my challenges! And unlike in previous years, I really wasn't scrambling to do so. I finished my last challenge on Dec. 11 and my first one in June! In fact, I am showing that I read THIRTEEN books over 450 pages (Chunksters) although, had I needed to use them all for the challenge, I'm sure a few would have dropped off because of notes or appendixes or other pages that are listed in Goodreads' page counts, but I wouldn't count towards a Chunkster challenge. I also read one extra non-fiction non-memoir book, and I have three books that I probably could count towards the Immigrant Stories Challenge. 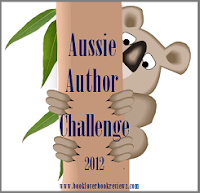 The only challenge where I didn't read any more than I signed up for was the Aussie Challenge, because I really had signed up for what I thought was my maximum. It was awesome to read all those books before and after my trip to Australia - they really made an impact on my visit, both as I knew more about the history, and also about the culture. 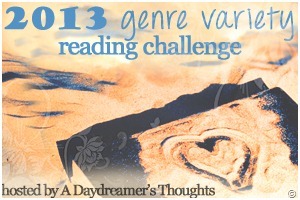 Below are my 2012 challenges, my thoughts on them a year ago, and the books I read that fulfilled them. A chunkster is 450 pages or more of adult literature. 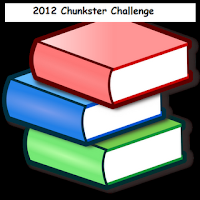 A chunkster should be a challenge. No Audio books in the chunkster. You don't need to list. 6/6 as of 9/9/12 DONE! 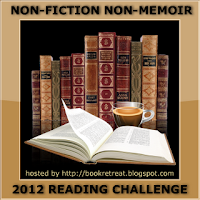 The Non-Fiction Non-Memoir Reading Challenge will exclude memoirs, which seem to be the most read type of nonfiction. Instead, we'll focus on learning about a variety of different topics and discovering new facts. The challenge will run from January 1, 2012 through December 31, 2012. The non-memoirs was intriguing to me since that's definitely my favorite genre, but I do think of myself as a more general non-fiction reader. I checked my stats for 2011 and I read 13 books I'd consider general nonfiction (although a couple are tricky as to whether they are really memoirs or not.) But I do like general nonfiction and I have a couple of big ones on my must-read list for 2012 already, so I am going to try to tackle this. And I'll go for the Bachelor's Degree level! I'm very glad audio books count because most of my audio listening is nonfiction. 15/15 as of 12/7/12 DONE!! I did this challenge 2 years ago at the Tourist level. I am going to Australia in the summer of 2012 (woo hoo!) so this is a natural as I'll be reading up, and I'm going to sign up for the Dinky-Di level. It might be a little hard for me to achieve here in the states but I expect I'll purchase a few books while in Australia. After all, if I (still no ereader for me) try to bring all the books for the horribly long flights and two weeks, I'll be over my weight limit in no time. If I only bring books for the flight there, I should be able to finish this challenge without too much trouble. 12/12 as of 11/14/12 DONE! 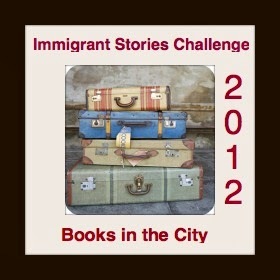 The dates for the challenge are January 1, 2012 - December 31, 2012. 3/3 as of 6/21/12 DONE! 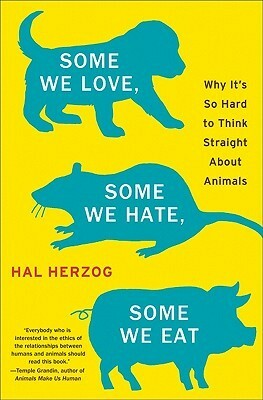 "The way we think about other species often defies logic." I reread my old edition from college which was a Norton Critical Edition and I think that was a mistake. The underlining wasn't too distracting (but it was some) but the comments were very distracting (luckily there weren't many of them.) Plus, why carry around a book that's essentially twice as long as you plan to read? It would have been more enjoyable to read a copy that only had the novel and didn't have my 20-year-old comments. 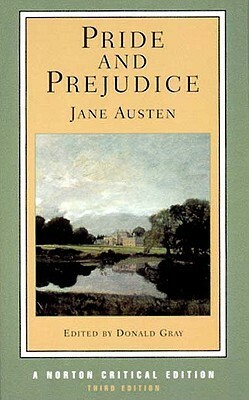 All that said, Pride and Prejudice totally holds up. It is wonderful. Elizabeth is just as sharp, Darcy just as frustrating, and Kitty and Lydia just as ridiculous as ever. A few things I picked up on this time around was that before I had thought that Mr. Bennet, while very frustrated by Mrs. Bennet, did find her amusing and did find her to have compensations for her silliness (and her nerves). However, in my reread, I noticed more that he told Elizabeth that he'd hate for her not to respect her spouse, as he personally knows how miserable that is. Also, I thought he was - aside from his tactless remarks to stop Mary from playing all night at the ball at Netherfield - sensible and smart, but on the second reading, I find more than he too was silly for having been blinded by Mrs. Bennet's beauty in the first place and also by allowing her poor parenting of Kitty and Lydia, and by general laziness and lackadasicalness that was hard to respect. I did love the little bits at the very end that explained a bit of what happened after the weddings: that Georgiana was at first shocked by Elizabeth's teasing Darcy but came to understand that is normal, that Kitty did shape up when separated from Lydia, things like that. Once thing I love about some old-fashioned books is how they often have an epilogue that tells you what happened to the characters after the end of the book. I know that's incredibly declasse these days, but I do enjoy it. So, loved it! Hope I get around to rereading another Austen in 2013 (or maybe I'll read Lady Susan and the juvenelia and finally be able to say that I have read ALL of Austen's works.) Rereading can be such a luxurious, comforting thing. I should do it more. If only it didn't cut into the number of books I've never read before! I bought this book at my campus bookstore 18 years ago. 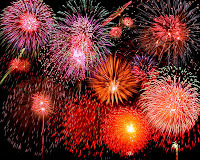 Publishing January 8, 2013 by Crown. Which books are you annoyed you didn’t read? I meant to read more Geraldine March this year and didn't get around to it. 8. Found a post from 2010 talking about 6 books I intended to read in 2011. Found I had read one of them that year. I have since read two others - Lonesome Dove and GGAS. Obviously I still have 3 to tackle in 2013: a Dickens, The Remains of the Day, and The Talented Mr. Ripley. 7. Realized I had not read many new books this year, did the best I could to remedy that by the end of the year. 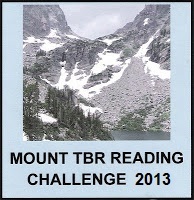 As of Oct. 9 when I figured it out, I had read 3 new hardcovers and 7 new paperbacks in 2012. I am now up to 6 new hardcovers and 1 paperback original (and those 7 new paperbacks.) Must do better next year. 6. Joined a second book club. Always meant to stick with just one, but my WNBA chapter started one specifically to read the Great Group Reads books, and I felt obligated. I plan to blog about these discussions. 5. Was quoted in the Erie, PA newspaper in an article about book clubs! 4. Cohosted my first (two!) Workshops. 3. Went to Australia. No, not very bookish (although I read a lot of Aussie books, did buy books there, and went to three bookstores while there) but too awesome a thing to leave off a list. 2. Was elected Vice-President/President-Elect of the Women's National Book Association, national. 1. My editorial business is going really well, exceeding the sales goal I set for myself for 2012.